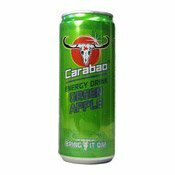 Carabao is a carbonated energy drink with taurine, caffeine and B vitamins which replenishes energy and relieves fatigue. 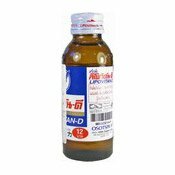 Ingredients: Carbonated Water, Sucrose, Citric Acid, Taurine (0.3%), Flavourings, Guarana Extract (0.115%), Aspartame, Stevia (Sweeteners), Caffeine (0.007%), Inositol, Niacin, Pantothenic Acid, Vitamin B6, B12, Riboflavin, Caramel (Colour), Sodium Benzoate (Preservative). Simply enter your details below and we will send you an e-mail when “Energy Drink (Apple) (蘋果健康飲品)” is back in stock!